Amazon best offers, Amazon bank offer, amazon shopping coupon, Free Amazon Gift Voucher, Amazon Pay Cashback Offer – Hello Guys, Here we are with awesome shopping cashback offer, Now Shop with Rs 250 via Amazon Pay balance & Get Rs 50 Amazon Pay Cashback. Amazon is giving Flat Rs 50 Cashback on Shopping of Rs 250 or more when you pay via Amazon Pay balance. This Amazon Offer is valid from 1st April to 15th April 2018. So Hurry guys don’t miss out the deal, go & avail this Offer now. 3. 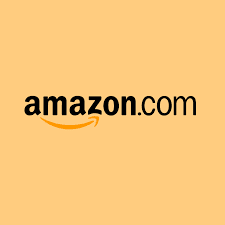 Now go for login/ sign up into your amazon account. 4. Then fill your complete Shipping address and select it. * Shop with Amazon Pay balance only for the eligible products and get Rs.50 cashback. * The Offer is only applicable for a minimum of Rs.250 order using only Amazon Pay balance during the Offer Period. * The Offer is applicable for a successful transaction, upon adjustment for refunds, conducted on Amazon.in (Site or App) using your Amazon Pay balance during Offer Period. * Any cancelled order(s) will not be eligible for cash back and the refund amount of cancelled / returned orders will be adjusted (net off) for the cashback amount, from the purchase amount for the Offer.